When it was first published in 1978, the Death of Christian Culture was long awaited and sold out quickly. 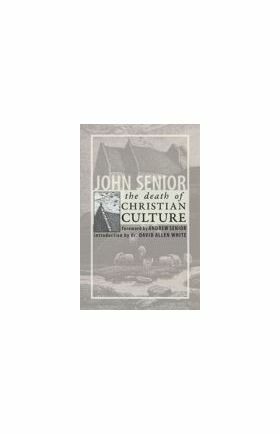 It is a hard-hitting and scholarly tour de force, dealing with the root causes of how and why Christian culture is dying. Its method is the in-depth but always provocative and engaging study of literature, culture, history, and religion. Its aim is to alert citizens of Western civilization of what we stand to loose as education ceases to be about teaching the truth and more and more about merely bureaucratic training and ticket-punching. Its value is the warning it provides to concerned people everywhere that the cultural, literary, artistic, and social treasures of classical and Christian civilization must be preserved and lived, lest they be lost forever. Most impressive among John Senior's numerous credentials as a cultural historian, literary critic, and scholar and practitioner of education is his experience as founder and leader of the University of Kansas Integrated Humanities Program, which he developed and ran with two colleagues at the University. The program was a four-semester course for freshmen and sophomores that combined the best of the Socratic method with the "great books" approach to education, while it was neither of those things alone. Its controversial aim was to convince students that there is a truth, and that the truth is worth knowing; its controversial method was the cultivation of "poetic knowledge," through real-life immersion in reading, memorization, and discussion of the classics of Western thought, art, and literature. Its controversial outcome was hundreds of conversions to Catholicism. This experience, more than any other, provided fruit for the keen insight and sometimes shocking observations presented in Senior's books. 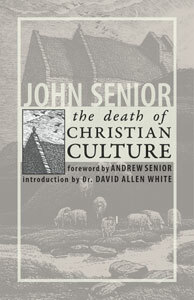 Foreword by Andrew Senior, Introduction by David Allen White, Ph.D.